If you’re like me the dollar spot at Target often catches your eye for little things to do with the kids. 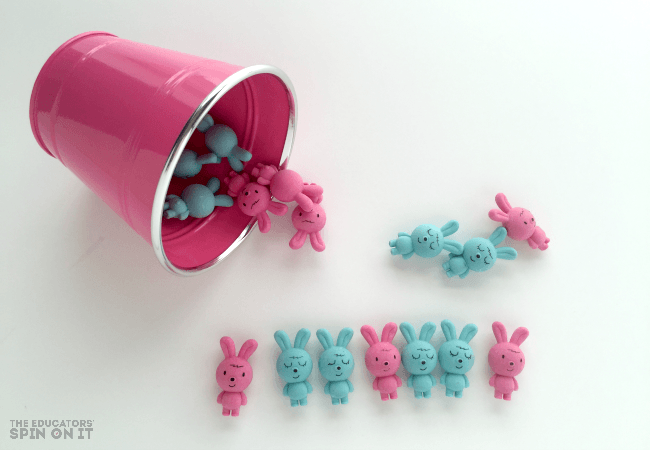 This Spring I found these adorable Easter themed erasers that just shouted “use me” as math counters. We’ve used all sorts of items for math counters, including lids but sometimes it’s super fun to use a seasonal option for math activities. You can practice math skills like sorting, classifying, patterning and counting. 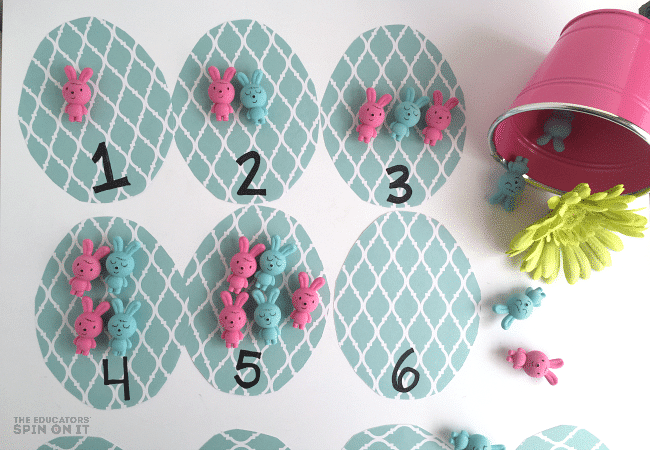 Here’s a fun game for learning number recognition with an Easter Game for Preschoolers. 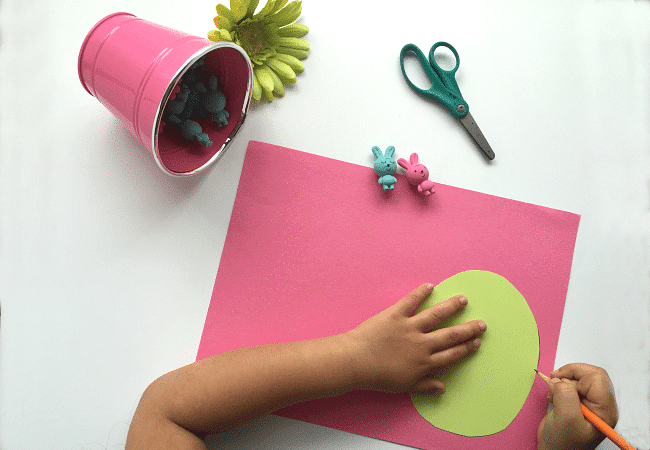 Create an egg template to trace onto the construction paper or scrapbook paper. 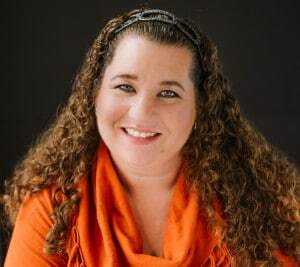 You will need to make 11 eggs for numbers 0 to 10. 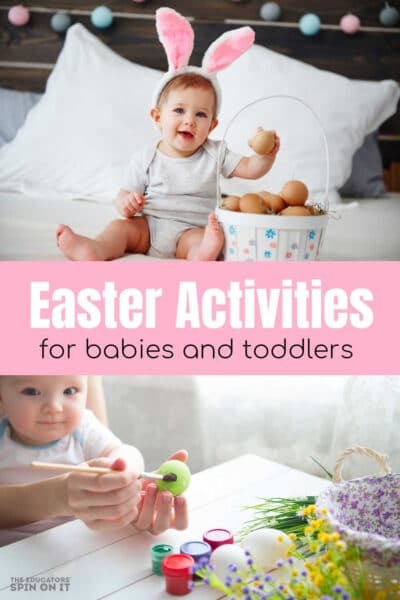 Cut out all of the eggs, depending on the age of your preschooler they can do it or they can do it with you with assistance. I had mine trace the eggs and realized quickly that the curves were a bit too difficult for her to we changed plans and let her decorate a few eggs with the ones she traces and then we egg new eggs with scrapbook paper at another sitting. A reminder for that that I’ve gotta be flexible when working with preschoolers. Number the paper easter eggs with your child from number 0 to 10. I had my daughter write the numbers out with pencil and then i wrote on top to make it show up with marker. 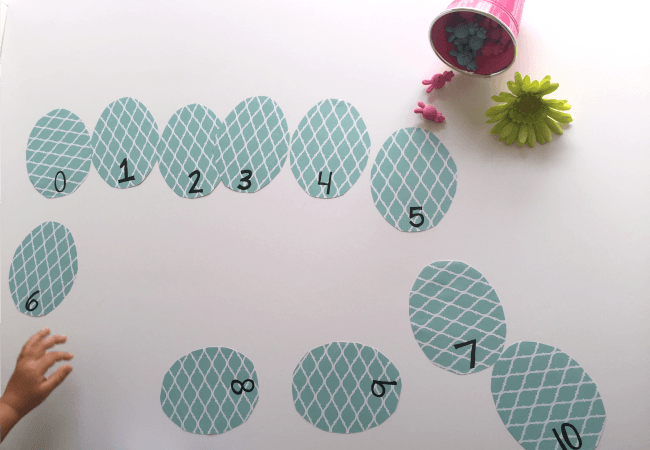 Once you’ve completed steps 1-3 you’ve created your own Egg Sequencing Math Game. Encourage your child can arrange the Paper Easter Eggs in numerical order. Mix them up and challenge them to name the number and place again and again in numerical order. Once they’ve mastered it see if they can count backwards starting with 10. Now it’s time to play the Easter Math Counting Game with your child. Ask them to count out the corresponding bunnies to the number on the Paper Easter Egg. You could also use animal shaped easter eggs to place the counters in instead. 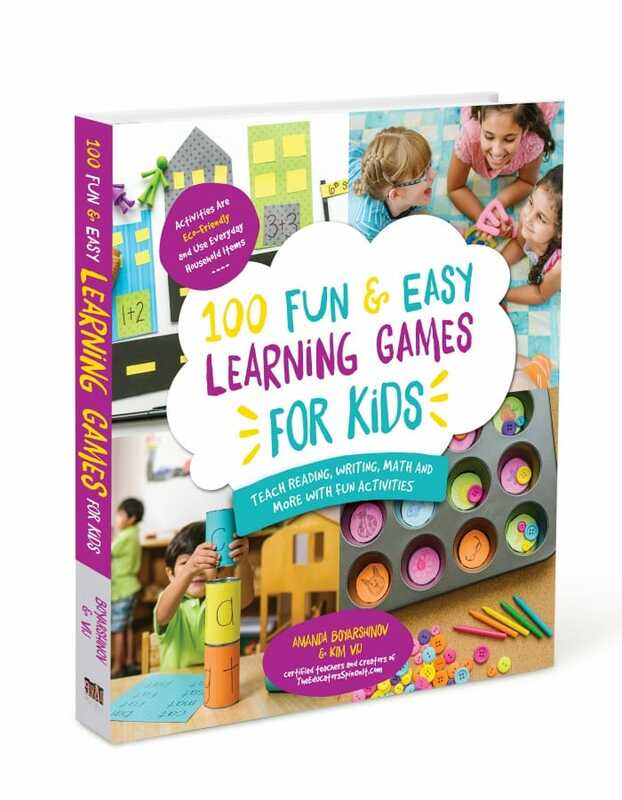 For more advanced thinkers, see if you can challenge them to line them up in pairs as they begin to understand in a concrete way even and odd numbers. Is the picture below we matched up every pink with a blue and would have one pink left over on odd numbers. 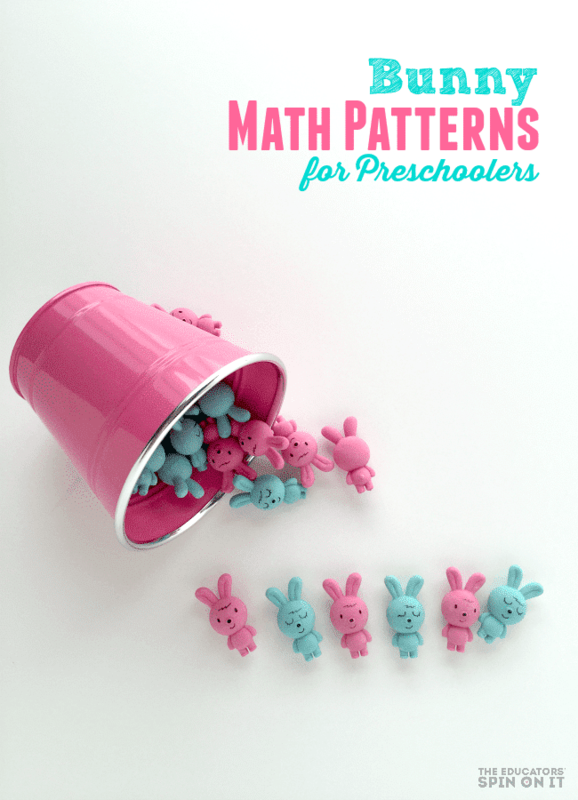 As your child begins to sort the bunnies into the correct number eggs they may begin to notice patterns with their bunnies. Keep going and see if you can being to explore patterning with them. Challenge them to see if they can change things up with their pattern. My preschooler was able to add two of one color in an ABB pattern after she did an AABB pattern. 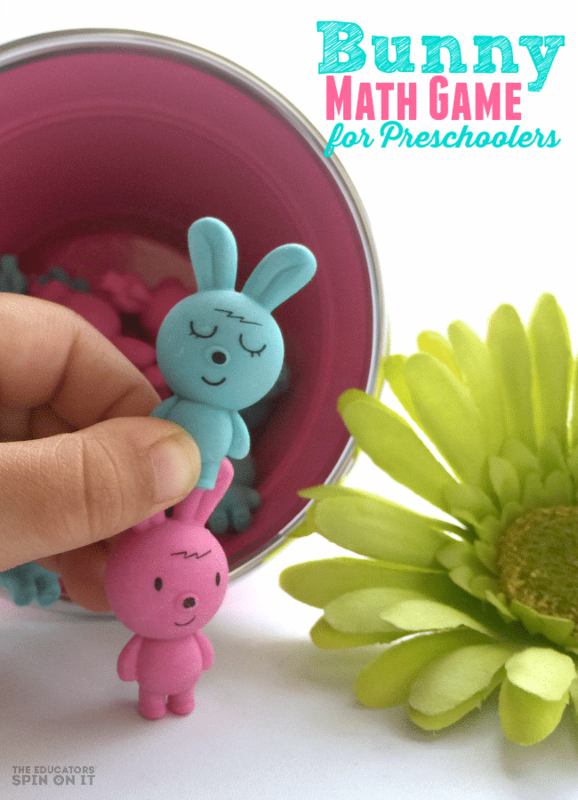 These adorable bunny erasers were a big hit in our home. Keep your eyes out for some cool ones to use for Spring at your house. This pack of animals erasers on Amazon has caught my eye for our next math adventures and probably reading too! 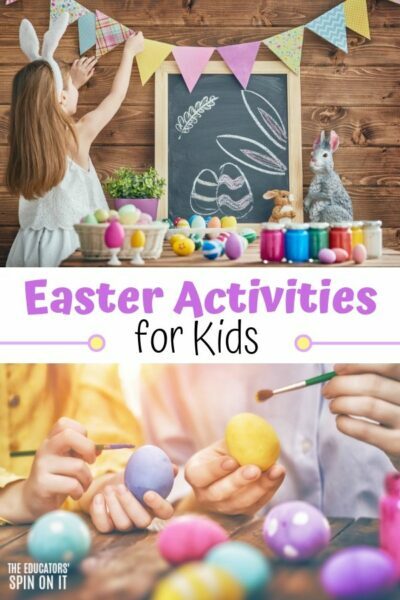 There are so many Easter Ideas to enjoy with your child this spring. 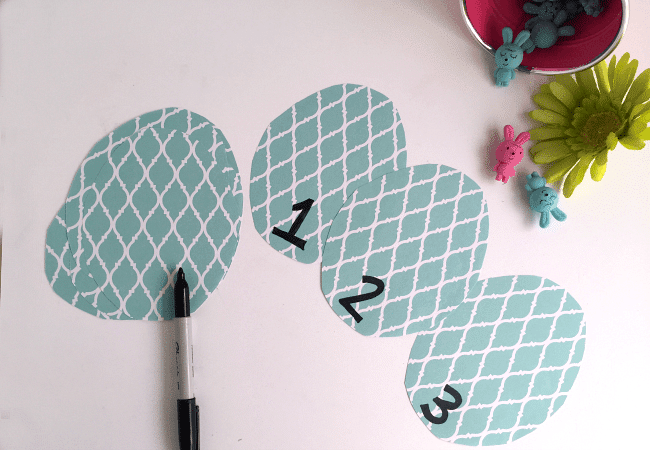 These Easter Math Games are sure to be a hit and super fun to add to their easter basket too. Be sure to read a few bunny stories to go with your Bunny Fun! 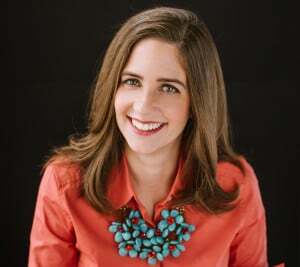 The Tale of Petter Rabbit , Hopper and The Easter Egg are some of my favorites that I’ve shared book activities for on The Educators’ Spin On it. Do you have a favorite bunny book? 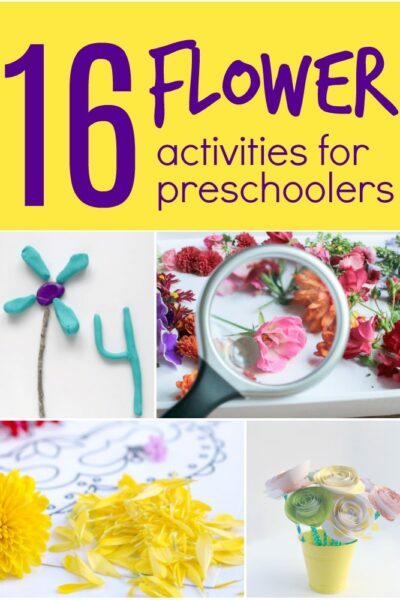 For more ideas for your Preschooler visit our Preschool Resource Page for Parents and Teachers!